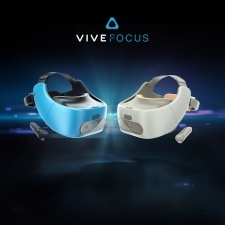 The Vive Focus will be made available in the UK and across the globe later this year. The price has yet to be announced. Previously only on sale in China, it will be the first standalone VR headset with 6 Degrees of Freedom to be commercially accessible. Vive Focus developer kits will also be rolled out to registered developers worldwide through Vive's developer portal, starting today. Developers who bring content to Viveport in China for either Vive Focus or PC-based Vive, will receive 100% revenue share from title sales and Viveport subscription in China between April and September this year. No Standalone Vive For The West; Lenovo It Is, Then!